It’s a storyline straight out of a Robert Louis Stevenson novel — a mysterious and seemingly bottomless pit that just might be filled with a fortune in pirate booty. The mystery of Oak Island — just one of many islands along the coastline of Nova Scotia’s South Shore — has tantalized treasure hunters for two centuries. The so-called “money pit” of Oak Island was discovered in 1795. Since then, far more treasure has been spent trying to solve the island’s enduring mystery than has ever been taken out of the pit. But now, a freelance writer from Sydney, Nova Scotia, is claiming to have solved the puzzle. Joy A. Steele spent more than a dozen years poring over primary and secondary source evidence as she built her hypothesis. 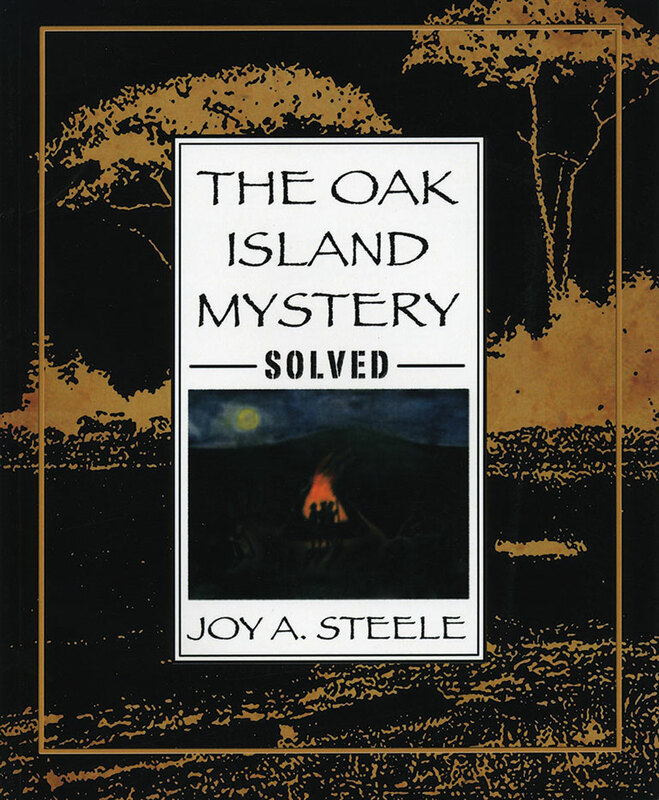 The result of her efforts is The Oak Island Mystery Solved, a softcover book rich with imagery and maps that, with each successive chapter, builds the case for the author’s conclusions. So, does the money pit really contain Captain Kidd’s buried treasure — thought to be worth an estimated $20 million in today’s dollars? Or is the mystery really some cruel joke perpetrated on us by now-longdead pranksters? Or is it something else? If you want answers, you’ll have to read the book. Whether you agree with Steele’s conclusions, or remain a skeptic, is up to you. Book Review: Many historians would love to have the chance to redo their most important works. This book is an expanded, updated, and much-improved version of a book Gough wrote in 1971. Britannia’s Navy will help to inform researchers and scholars for decades to come. Book Review: Newman’s Hostages to Fortune is a highly readable account of the Loyalist experience and the Loyalists’ influence on Canada more than two centuries after they fled the United States as refugees. Book Review: Every student of Canadian history learns at one time or another that in September 1759 the British led by James Wolfe defeated the French under the command of Louis-Joseph de Montcalm at the Battle of the Plains of Abraham. Book Review: When the United States of America went to war against itself in 1861, it sparked a conflict of catastrophic proportions.